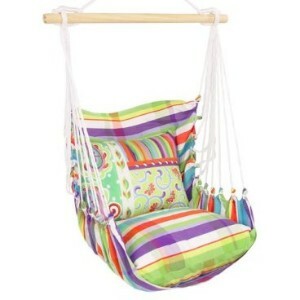 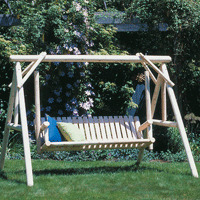 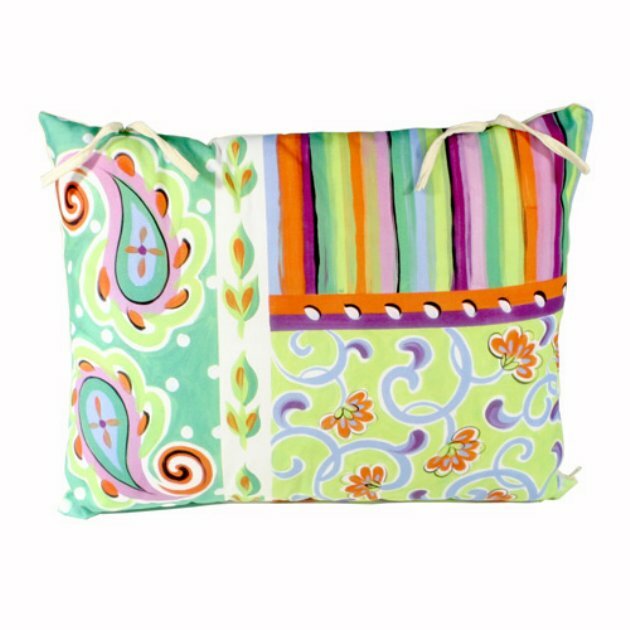 Swing Set consist of four parts - striped swing, striped bottom pillow,print back pillow; and carrying tote. 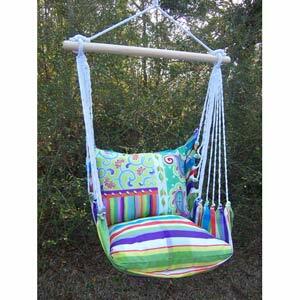 Made of SUNDURE fabric for use indoors or out. 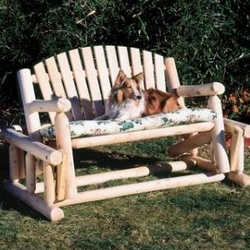 It's fade resistant, mildew resistant, weather resistant, 100% strong/durable polyester. 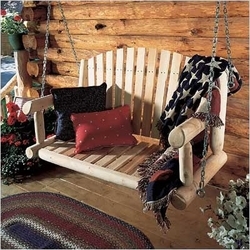 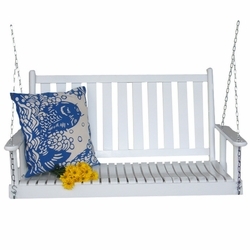 Use outside under a tree or on a porch or deck; also great for sunroom or rec room.